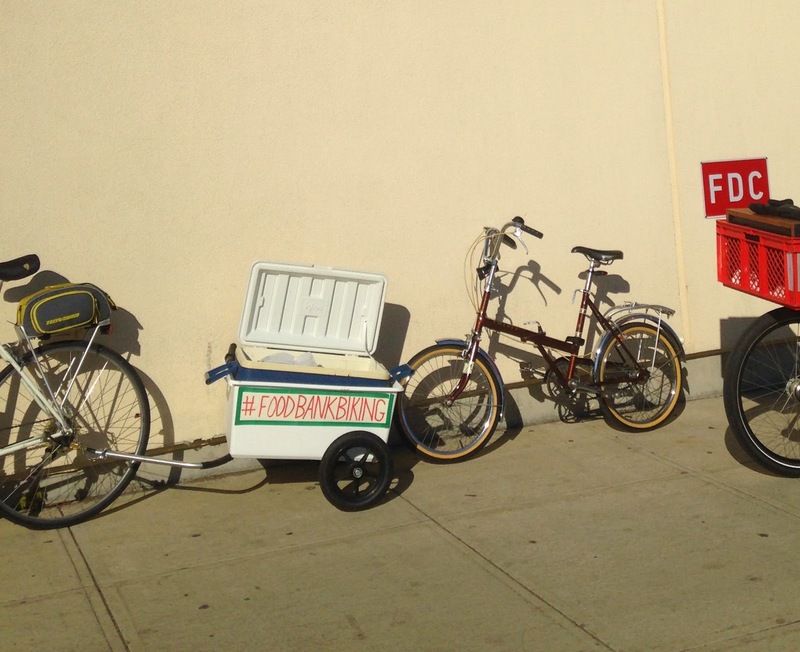 I am pleased to precede this post with a notice that Food Bank Biking brought 35 pounds of food (including two turkeys, carried in style in my homemade bike trailer) to the Food Bank of Lower Fairfield County. I’d have written a more comprehensive post about this but I’m at Christmas Defcon 4. If you celebrate the holiday, you’re probably there yourself: you’re not sure who is left you need to buy a gift for, you begin to hate your friends who insist on letting you know via Facebook that they finished all of the Christmas shopping in April, and you are So Busy you don't have time to do stuff that is A) fun, or B) that actually matters. Now Pacific Swim Bike Run in Stamford is going to give you a chance to do both tonight: they are holding their second annual Hot Chocolate Classic at their shop: 575 Pacific Street from 6:30 to 8:30 pm. PSBR wants attendees to make a minimum $25 cash or check donation to The Pacific House Shelter for the Homeless, which is just down the street from PSBR. This ties in to Food Bank Biking for the simple reason that cyclists want to bring hungry people food. It also ties to me because I once pretended to be homeless for 36 hours in Keene, New Hampshire 20 years ago so I could write about it for a sociology class I was taking at the time in college. The experience made me think about homelessness and hunger differently and more often than I ever did (and it began a long tradition of me never telling my mother about any dangerous things I've done until after I've done them). Now The Pacific House provides breakfast and dinner to about 60 to 80 people every day - and that number can push past 100 as the weather gets cold. So by bringing a donation, you help bring the holiday season closer to what’s important and further from what's not important - like those ridiculous antlers people put on their Dodge Durangos. (Little sidebar: I am letting go of my antler hatred this year since I am - as you obviously know - am not immune to flirting with immaturity with my Christmas decorations). But anyway: The Hot Chocolate Classic also features a 3 mile course consisting of 4 3/4 mile loops, with the race start and finish at Pacific Swim Bike Run. There will also be prizes for the Ugliest Christmas Sweater, most Festive Costume and, according to their site, ‘fastest overall male and female.’ It is for that reason I am asking all ugly Christmas sweater wearers attending this event tonight to eat your Wheaties this morning - for the simple reason I want PSBR to be forced to combine prizes and create a “Fastest Overall Ugly Christmas Sweater” category. I hope you attend The Hot Chocolate Classic tonight. PSBR said on their web site they want to provide three meals for The Pacific House, so pull out your wallet, put on that hideous Christmas sweater, and start feeling the holiday season the way it is meant to be felt. Thanks for reading and thanks for riding.